Housing affordability may be the toughest challenge now facing major metro areas in the U.S., especially in affluent coastal areas. Last month, California’s new governor, Gavin Newsom, made this issue a top priority, committing significant new resources to housing in his proposed state budget. Other public leaders have been stepping up, too, including New York Mayor Bill de Blasio. Pressure is also growing on both business and philanthropy to do more to ensure housing affordability. And in recent weeks, we’ve seen dramatic movement along these lines. One such effort is focused on ground zero of the housing crisis: the Bay Area. With the Chan-Zuckerberg Initiative in the lead, the Partnership for the Bay’s Future wants to pull in $540 million from a range of regional players and has already secured an initial $280 million. Meanwhile, Microsoft is upping the corporate ante in Seattle and its environs with $500 million to confront the Puget Sound region’s housing shortage. The majority of these commitments don’t take the form of philanthropic grants. In both cases, the bulk of funds are investment capital to construct new housing and preserve existing stock. The Bay Area partnership’s investment fund, which will be managed by LISC, will extend lines of credit to community development organizations like the East Bay Asian Local Development Corporation (which it’s already funding) to make more construction possible. Microsoft’s commitment includes two batches of investment funding to be deployed over three years. The first $225 million will earn “below market rate returns” to preserve and develop middle-income housing on King County’s Eastside. Another $250 million will be invested at market rate in low-income housing throughout King County. Those aren’t insignificant numbers, given the severity of the crunch and the relative modesty of existing housing trust funds. And the need is much greater. Both regions require hundreds of thousands of new housing units through 2040 to keep up with ongoing job and population growth. They also need ways to guard against rapid gentrification pushing middle and low-income earners to the periphery, where they experience punishing commutes and alienation from the communities where they work. That’s where the philanthropy angle comes in, at least for the Bay Area initiative. In addition to its investment fund, the partnership has rolled out a “policy fund” with two grantmaking strategies: (1) partner with community groups and governments to pursue “ambitious, comprehensive” housing protection solutions, low-income tenant protections in particular; and (2) support local governments demonstrating “the potential to develop affordable housing at scale” with technical assistance. Leading the partnership’s policy fund is the San Francisco Foundation, a community funder with sizable assets and a focus on equity in a city where the wealth gap has grown sharply in recent years. The foundation’s leadership here is one example of local and community funders can using their hometown advantage to step up in the housing and homelessness fight. The policy fund has already raised $20 million of a hoped-for $40 million. Besides TSFF and CZI, supporters of the Partnership for the Bay’s Future include the Ford Foundation, the David and Lucile Packard Foundation, and the Silicon Valley Community Foundation. There’s also the William and Flora Hewlett Foundation, a longtime Bay Area funder that recently dedicated the bulk of its local portfolio to the housing issue. The partnership has also secured corporate partners like Facebook, Genentech and Kaiser Permanente. As for the philanthropic piece of Microsoft’s commitment, homelessness is the focus. Over the next three years, Microsoft will give $25 million in grants toward King County organizations tackling the problem. The company has awarded two grants so far: $5 million to the United Way of King County’s Home Base program, providing legal representation to prevent people from losing their homes, and another $5 million to establish a new funder collaborative to address homelessness in partnership with local governments. We’ll be tracking how that evolves. While the Partnership for the Bay’s Future involves a consortium of funders and the Seattle work only one, the grantmaking component of both efforts points to a desire to catalyze change beyond what can be achieved by new capital investments in affordable housing. After all, building or preserving new housing that is accessible to low-income households can be devilishly hard in many metro areas, given regulatory issues, NIMBYism, and a lack of mass transit. 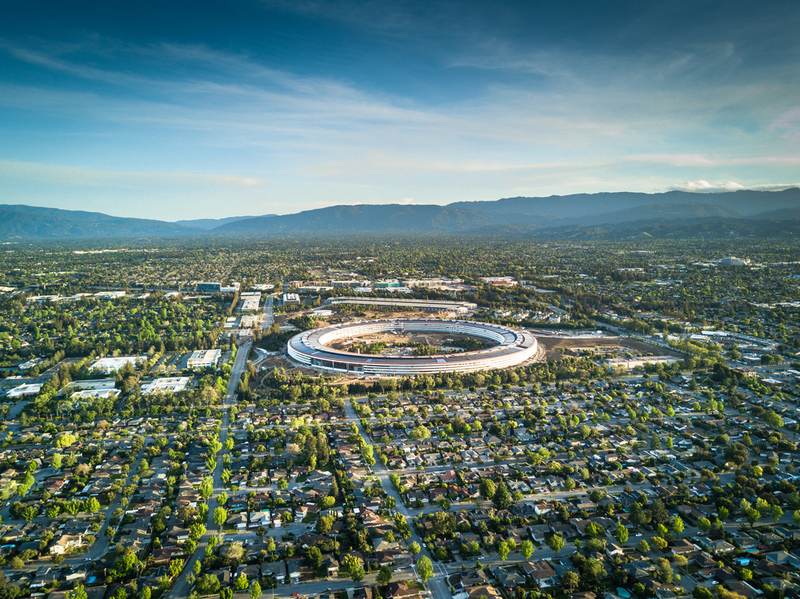 As Microsoft President Brad Smith wrote in a January blog, “public policy changes to make it easier and more attractive to build affordable housing” are even “more critical” than capital commitments. He lists zoning changes, transit-oriented development, streamlined permitting, and financial incentives for builders. Notably, Microsoft’s announcement included pledges from the mayors of Bellevue, Kirkland, Redmond, Issaquah, Renton, Sammamish, Auburn, Kent and Federal Way to pursue those changes. In a similar vein, the Bay Area partnership’s policy fund may set the stage for greater movement on housing development among local municipalities. The fund promises grants and technical assistance to jurisdictions “that have the potential to develop affordable housing at scale,” essentially offering another carrot on top of incentives in Governor Newsom’s proposed budget that reward cities meeting new housing production benchmarks. It’s worth noting that Newsom also proposed a stick—taking away gas tax money from municipalities that fall short. Philanthropy has an important role to play in this mix. The foundations stepping up work on housing, including through the recently created Funders for Housing and Opportunity collaborative, have emphasized the importance of advocacy and movement building to make more systemic gains on housing. “We can’t build our way out of this," Susan Thomas of the Melville Charitable Trust told us when that group launched last year. Nowhere are funders more energetically embracing an advocacy role on housing than in California. By backing regional and statewide policy platforms that prioritize housing, grantmakers hope they’ll be able to chip away at the barriers that prevent housing construction and also to galvanize more public sector movement. Ultimately, a larger government role is critical here. Just take a look at the top donors to Housing Trust Silicon Valley, which the Partnership for the Bay’s Future looked to as a model. The public sector predominates, and HUD’s still on top. Of course, there are other issues raised by these big initiatives, such as the extent to which corporations like Microsoft or giving vehicles like CZI should be buying their way into the driver’s seat of affordable housing finance. Or whether their leverage in the policy arena runs against democratic local governance in a damaging way. Weighed against those questions is the opportunity to capitalize on a moment when corporate leaders feel obliged to do something about a crisis in their own backyards—one they’ve helped to create.